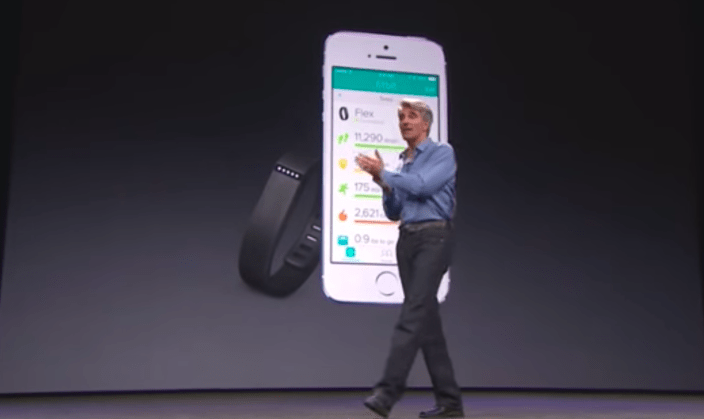 The good old times: back in July Fitbit was front and centre on Apple’s Health announcement. As I was previously writing (http://bit.ly/1toSgDp) Apple’s HealthKit platform might be a solution to a problem that has been solved. Now, a major player in the fitness trackers/apps world, Fitbit, is reluctant to follow on the hype, angering it’s customers. A thread in the official features request forum currently has 571 votes in favour (the most voted open request at the moment) and 878 comments, many of them suggesting they will stop using Fitbit if it is not integrated with HealthKit (“I just threw my Flex in the trash. The Aria goes on ebay right now”). We do not currently have plans to integrate with HealthKit. Your voices are being heard. We’re actively reviewing your responses and providing feedback to our product development team. At Fitbit, our mission is to help people lead healthier, more active lives, so we’re always looking for ways that our users can use their data to support their fitness goals. For the past few years, we’ve been the leader in developing direct partnerships through our open API with hundreds of the most popular health apps, wellness programs, incentive systems, and other services that have enabled our users to make the most of their Fitbit products and data. Because of this commitment to connect with other applications, HealthKit is really interesting to us. Since its announcement, we’ve been evaluating integration with HealthKit as more of its features and benefits are revealed. Please share your thoughts with us. 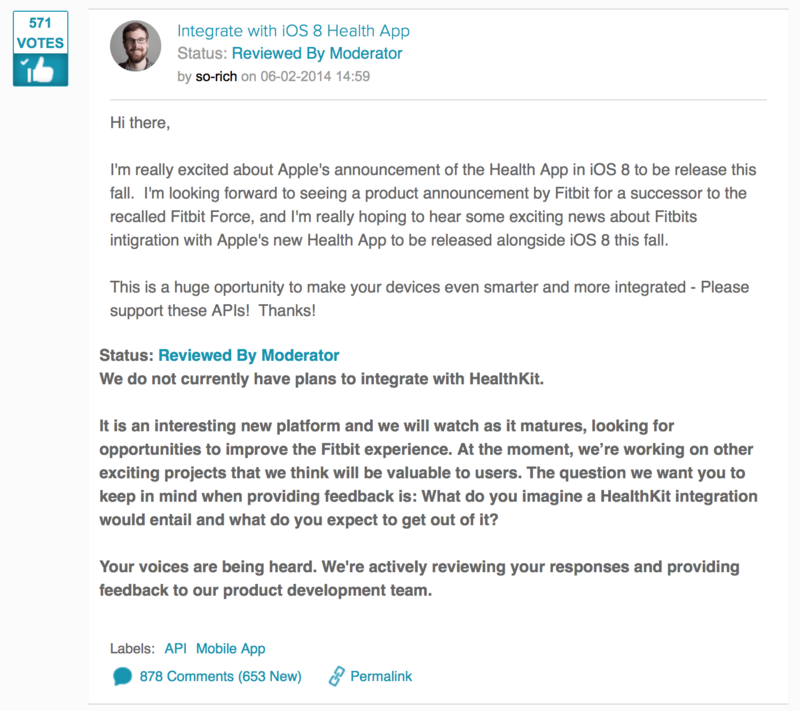 We want to understand how you envision an ideal HealthKit integration to work and what benefits you’re hoping for. We’re actively reviewing your responses and providing feedback to our product development team. This entry was posted on Thursday, October 9th, 2014 at 12:11 am	and is filed under Technology.